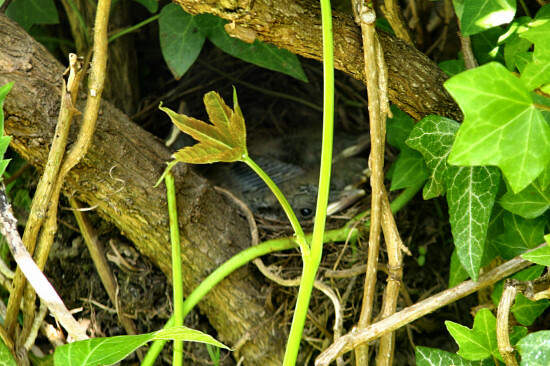 Two days later and the little birds have become somewhat bigger birds – real beaks and the eyes are open, as you can see in this slightly blurry photo taken from the ground. There are at least three hatchlings in there and I think I see a fourth beak in this photo. It’s getting very crowded in there!